Is Your Workers' Comp Up for Renewal on January 1? If you're about to renew your workers' compensation policy, don't write that check yet. Chances are we can save you some money. We'll shop among the best carriers to find you the best price. It's a free service of Shepard Insurance! (661) 902-0360 and we'll take it from there. Our new referral program "Fast Lane to $50" lets you help friends and family save money on insurance and improve their coverage. You send your friends or family members our way. 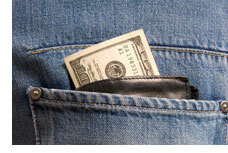 We do a free, no-obligation evaluation of their current insurance. They find out whether we can get them better coverage, lower premiums, or both. Kid Expo Was a Blast! It was fun to see so many of you at the Santa Clarita Child and Family Kid Expo held Oct. 19 at Golden Valley High School. We were privileged to participate for a second year and help teach parents how to properly install their children’s car safety seats. If you missed us at the Expo, see our article about proper car seat usage – and we’ll look for you next year! With unemployment rising, stocks falling, like changing our clocks, renewing our insurance policies becomes something we just automatically do. But the switch from daylight savings time back to standard time is a good opportunity to stop and make sure our insurance is set where it needs to be. As you make changes in your life, you also need to make changes in your insurance. You might need to increase certain coverages, lower others, and maybe do away with some policies altogether. Now is a great time to sit down and evaluate your homeowners insurance, your auto coverage, life insurance, and even business policies. We'll gladly review your policies to make sure you have sufficient coverage to guard your assets and protect your family. And, we'll also check your premiums to be sure you're not paying more than you need to. What's the catch? There isn't one. We just want to be sure our clients and their friends and family are properly insured. The review is free and we are happy to do it. We can schedule an appointment for you to visit our North Hollywood or Valencia offices, whichever is more convenient for you. You can reach us at (818) 508-9925 or (661) 902-0360. 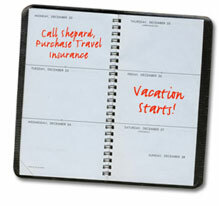 If you haven't visited our online offices recently, take a look at www.shepardinsurance.com today. 1. When does my child move to a booster seat? 2. When does my child no longer need a booster seat? 1. 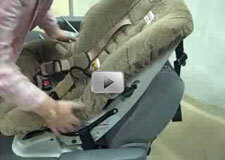 There is no specification as to when a child can move out of a 5-point harness system and into a booster seat. 2. California law states that a child must ride in a child restraint system in the back seat until he or she reaches age 6 or weighs 60 pounds. In today's challenging economy, most businesses are being pressured to achieve the same levels of productivity with a reduction in revenue. To ensure your business is getting the most productivity from your valued people, it is vital to know how much time is being spent daily on personal internet use. Do you know if your employees are planning their next vacation, paying their bills online, or chatting with their friends about plans for the weekend? The Internet has grown to be as necessary in the office as a computer or a telephone; yet many companies don't have any tools in place to manage their employees' Internet use. Most employees are not driving to the office each morning thinking about how to waste time on the Internet. But it has grown to be an enormous distraction right at their fingertips, and time can quickly get away from them. Did Your SUV Make the List? The Insurance Institute for Highway Safety, an industry-funded group that prods automakers to add safety features to their vehicles, released its list of the safest small sport utility vehicles. The 2009 Ford Escape, Mercury Mariner and Mazda Tribute, as well as the 2008 Mitsubishi Outlander, 2008 Nissan Rogue and the new 2009 Volkswagen Tiguan, all earned "good" ratings in the front, side and rear-crash protection tests. On the other end of the scale, the group dinged the Jeep Patriot, Jeep Wrangler, Suzuki Grand Vitara, Chevrolet Equinox and Pontiac Torrent, awarding them mostly marginal or acceptable ratings. Before you go over the river and through the woods or down to the airport and across the country to Grandma's house for the holidays, purchase a travel insurance policy for your trip. for a fast, free quote.